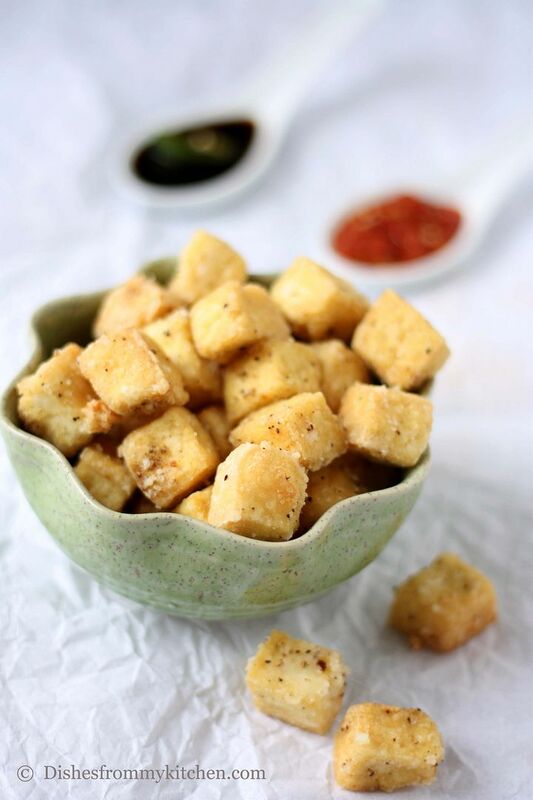 Dishesfrommykitchen: JALAPENO TOFU - MOUTHWATERING APPETIZER ! 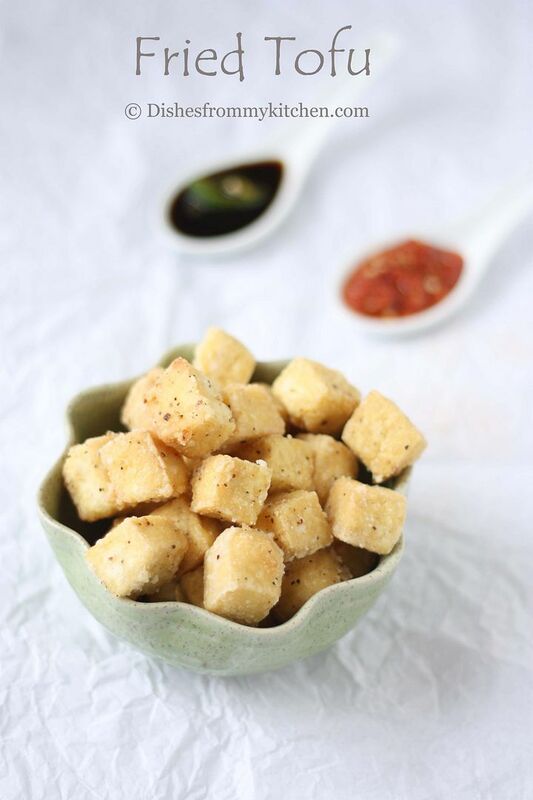 Jalapeno tofu is great appetizer. It is absolutely delicious with caramelized onion, garlic and also little heat from the Jalapeno makes the dish really yummy. 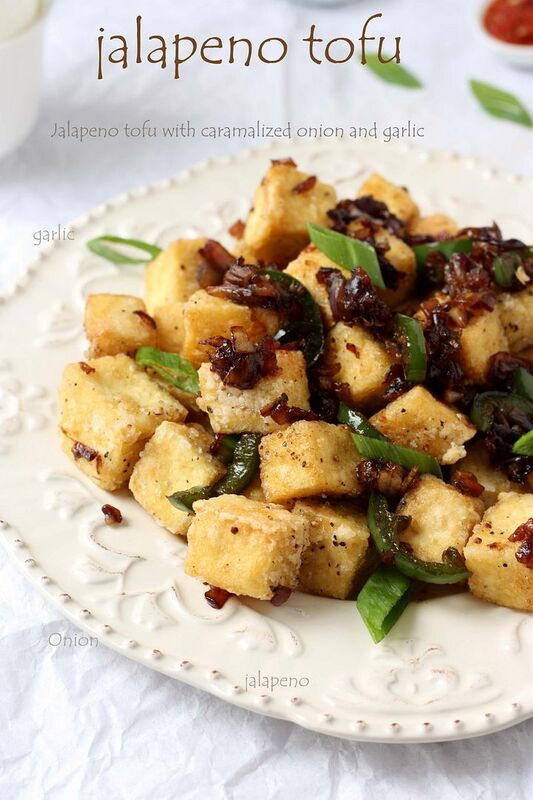 The title Jalapeno tofu does not mean this dish is very spicy. You can deseed the Jalapeno and use it in the recipe but personally I prepare half seeded and half deseeded. So you can prepare this dish according to the spice level you love to eat. 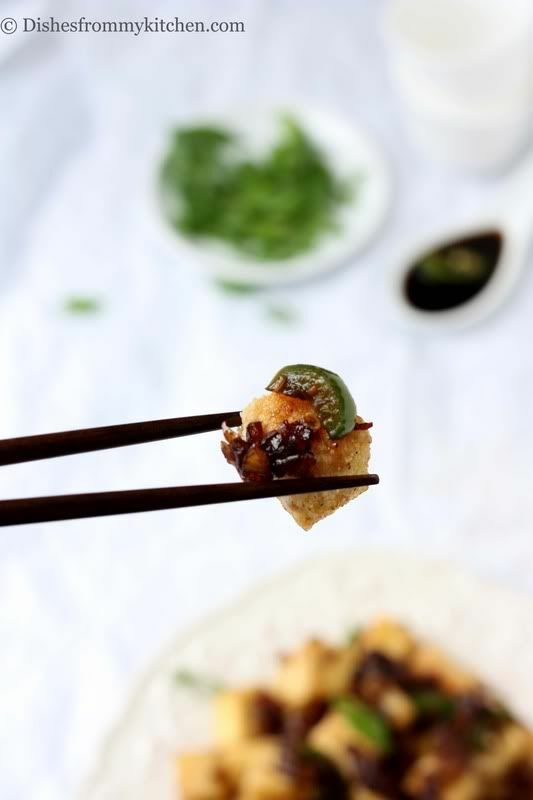 The flesh of the Jalapeno has a mild flavor close to green bell pepper, so if you do not have Jalapeno you can always substitute with green bell pepper. 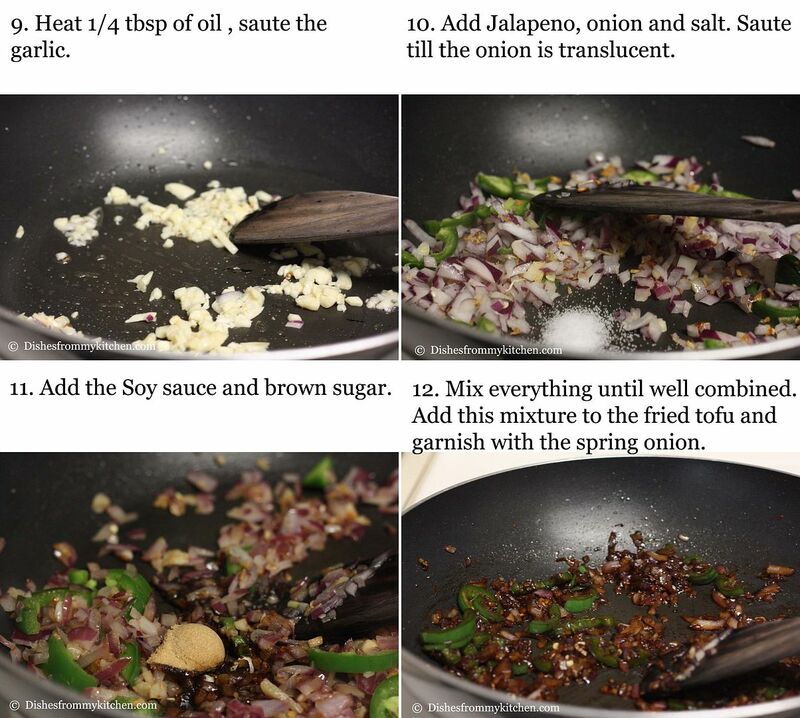 But make sure you add tsp of chilli garlic sauce while sautéing the onion and garlic if you are deseeding the whole Jalapeno. 1. 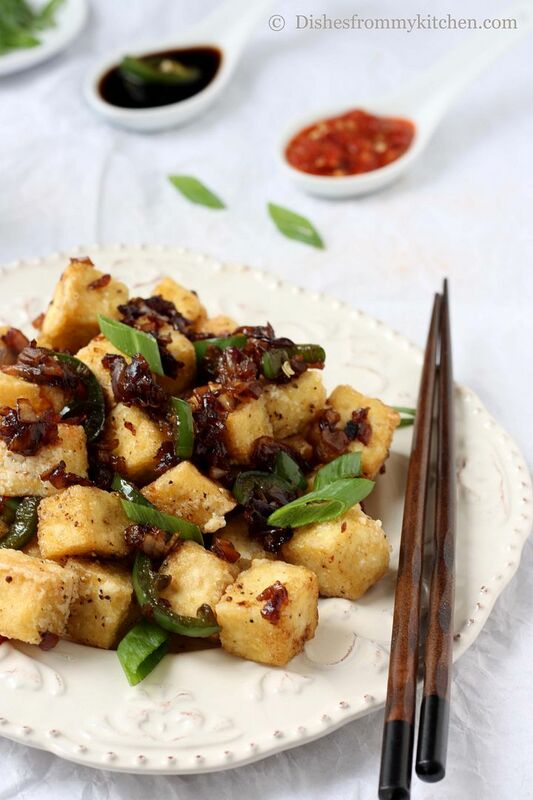 You can also substitute Tofu with Paneer. 2. 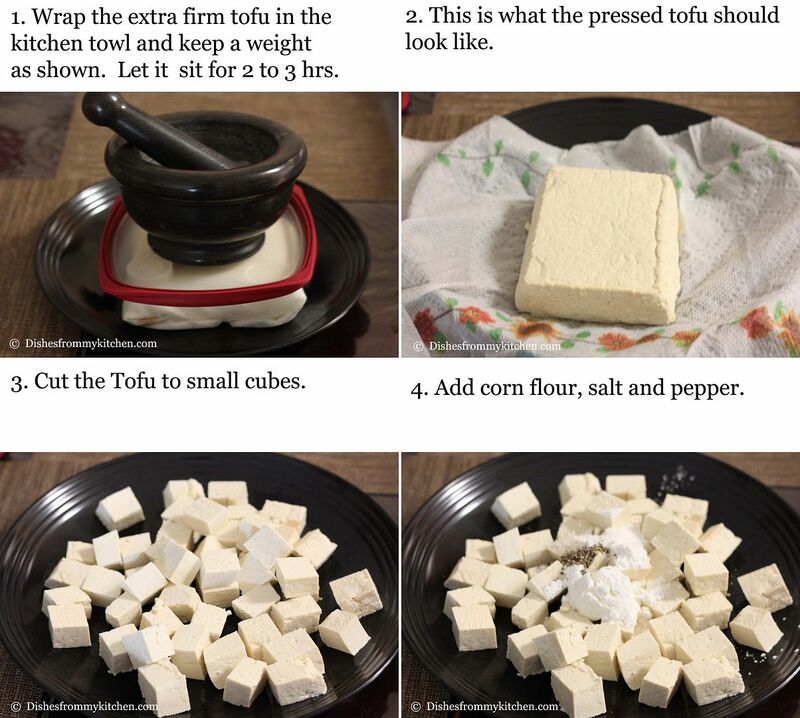 Make sure you buy extra firm tofu. 3. You can also use thin soy sauce. Since I had only thick soy the color was bit dark. 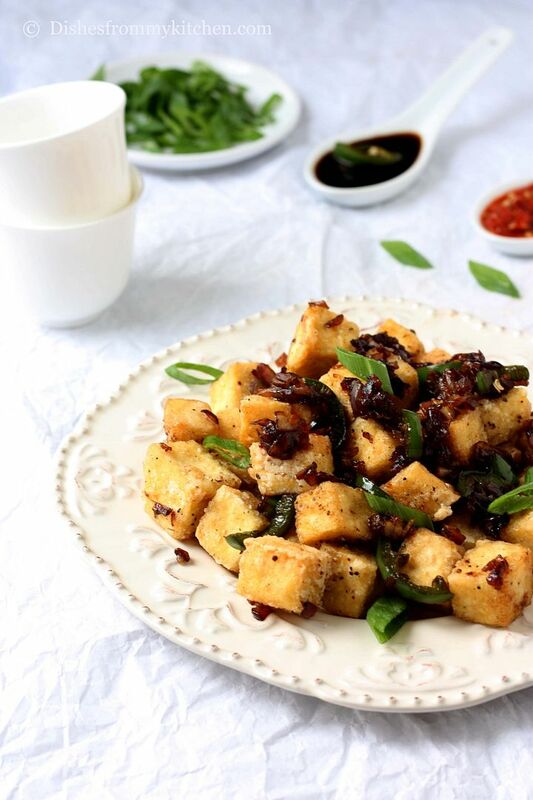 You can use any soy sauce for this recipe. Very delicious! 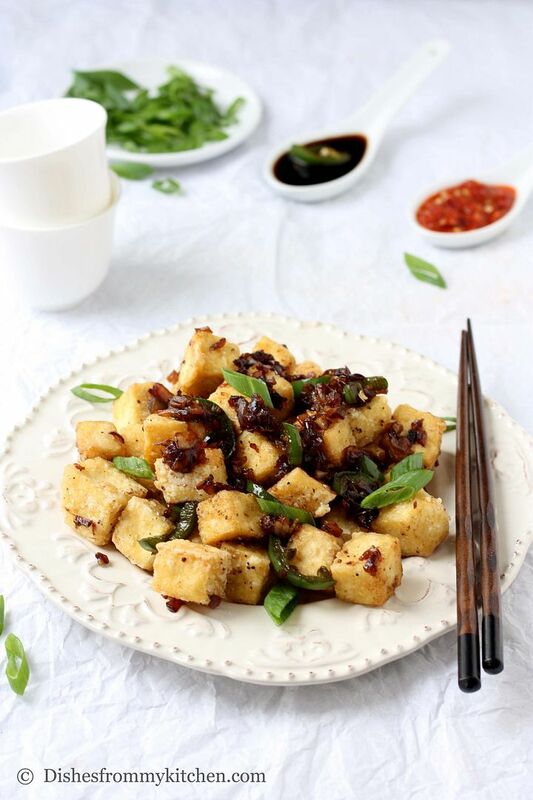 I am a huge fan of tofu, this is a perfect recipe to try! Awesome recipe!! 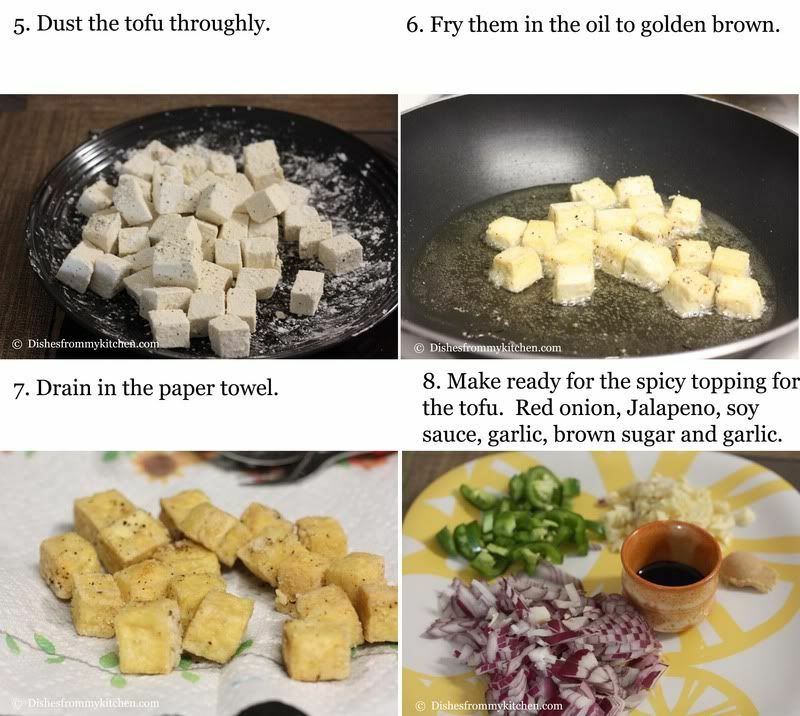 perfect for someone like me who loves to substitute tofu for paneer. these looks so yummy. I am drooling here. Love the beautiful clicks. Incredible appetizier,love to finish that whole plate. 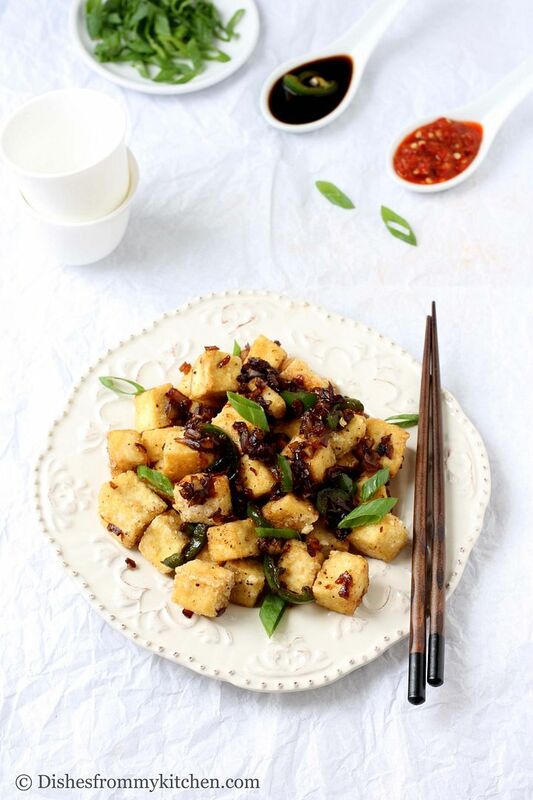 This looks like a great way to eat tofu. Wonderful flavours.